9781478930235, titled "Squirrel Seeks Chipmunk: A Modest Bestiary" | Unabridged edition (Hachette Audio, June 17, 2014), cover price $15.00 | About this edition: Featuring David Sedaris's unique blend of hilarity and heart, this new illustrated collection of animal-themed tales is an utter delight. Product Description: Features pairings by twenty-three best-selling suspense writers, including John Sandford, F. Paul Wilson, and R.L. Stine, who in short high-action stories pit their most popular characters against one another. 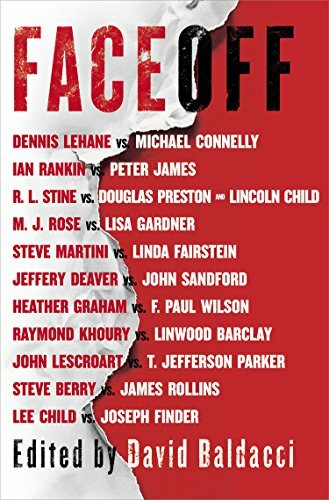 9781410472731 | Large print edition (Thorndike Pr, October 8, 2014), cover price $32.99 | also contains Faceoff, Faceoff, Faceoff, Faceoff | About this edition: Features pairings by twenty-three best-selling suspense writers, including John Sandford, F.
9780316050883, titled "Antitrust Law" | Revised edition (Little Brown & Co Law & Business, January 1, 1995), cover price $135.00 | also contains Antitrust Law | About this edition: AUTHOR NEWS! 9781442370043 | Unabridged edition (Simon & Schuster, June 3, 2014), cover price $39.99 | About this edition: Edited by #1 New York Times bestselling author David Baldacci and including stories by Michael Connelly, Lee Child, Jeffery Deaver, and more, this one-of-a-kind anthology pulls together the most beloved characters from the best and most popular thriller series today. 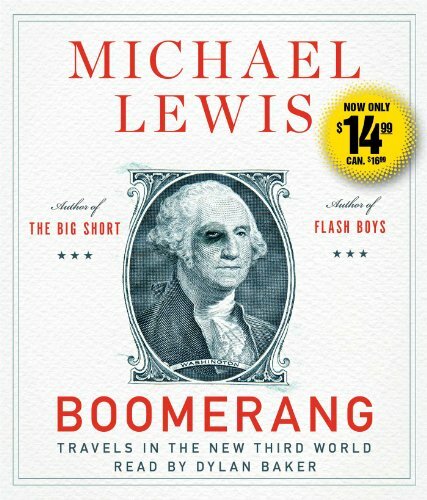 9781442370296 | Unabridged edition (Simon & Schuster, April 1, 2014), cover price $14.99 | About this edition: From the #1 New York Times bestselling author of The Big Short, Liar’s Poker and The Blind Side! 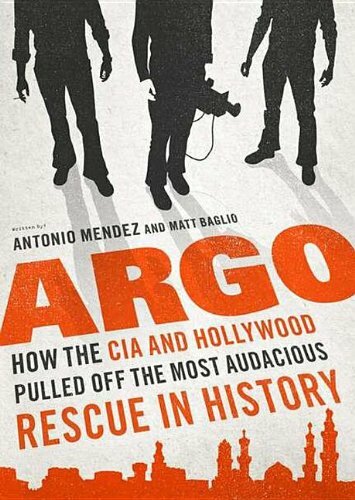 9781470832469 | Mp3 una edition (Blackstone Audio Inc, September 13, 2012), cover price $29.95 | About this edition: The true account of the 1979 rescue of six American hostages from Iran On November 4, 1979, Iranian militants stormed the American embassy in Tehran and captured dozens of American hostages, sparking a 444-day ordeal and a quake in global politics still reverberating today. 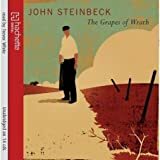 9781514370490 | Createspace Independent Pub, June 15, 2015, cover price $10.67 | also contains Grapes of Wrath, The Grapes of Wrath, The Grapes of Wrath, The Grapes of Wrath | About this edition: First published in 1939, Steinbeck’s Pulitzer Prize winning epic of the Great Depression chronicles the Dust Bowl migration of the 1930s and tells the story of one Oklahoma farm family, the Joads, driven from their homestead and forced to travel west to the promised land of California. 9780143145158 | Unabridged edition (Penguin/Highbridge, June 29, 2011), cover price $39.95 | About this edition: The Pulitzer Prize-winning epic of the Great Depression, a book that galvanized—and sometimes outraged—millions of readers. 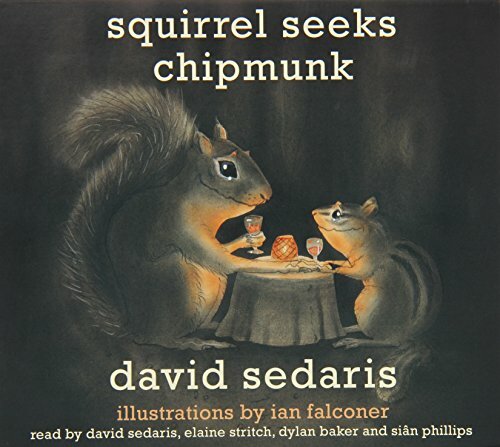 9781600244995, titled "Squirrel Seeks Chipmunk: A Modest Bestiary" | Unabridged edition (Hachette Audio, October 5, 2010), cover price $24.98 | About this edition: Featuring David Sedaris's unique blend of hilarity and heart, this new collection of keen-eyed animal-themed tales is an utter delight. 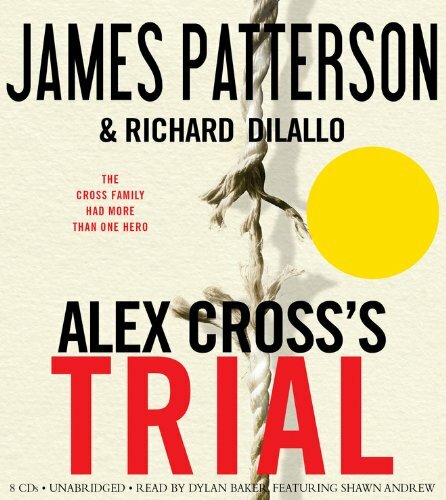 9781607881896 | Una rei edition (Hachette Audio, April 6, 2010), cover price $19.98 | About this edition: Separated by timeFrom his grandmother, Alex Cross has heard the story of his great uncle Abraham and his struggles for survival in the era of the Ku Klux Klan. For early chilhood courses this text systematically shows how to apply a unified philosophy to an early childhood curriculum. For the pre-primary years there are cross-curricular ideas that can be taught informally and for primary years there are suggestions for very academic environments. 9780075570530, titled "The Integrated Early Childhood Curriculum" | McGraw-Hill College, January 1, 1990, cover price $40.85 | also contains 1st to Die, The Integrated Early Childhood Curriculum | About this edition: For early chilhood courses this text systematically shows how to apply a unified philosophy to an early childhood curriculum. 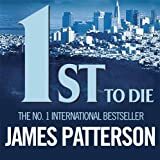 9780759564275 | Little Brown & Co, March 5, 2001, cover price $9.99 | also contains 1st to Die | About this edition: Four women--a police detective, an assistant D.
9781594830914 | Hachette Audio, February 1, 2006, cover price $14.98 | About this edition: Four women-four friends-share a determination to stop a killer who has been stalking newlyweds in San Francisco. 9780606277747 | Demco Media, February 1, 2002, cover price $16.80 | also contains 1st to Die | About this edition: Four women--a police detective, an assistant D.
9781435286788 | Reprint edition (Paw Prints, May 22, 2008), cover price $16.99 | also contains 1st to Die | About this edition: As the only woman homicide inspector in San Francisco, Lindsay Boxer has to be tough. 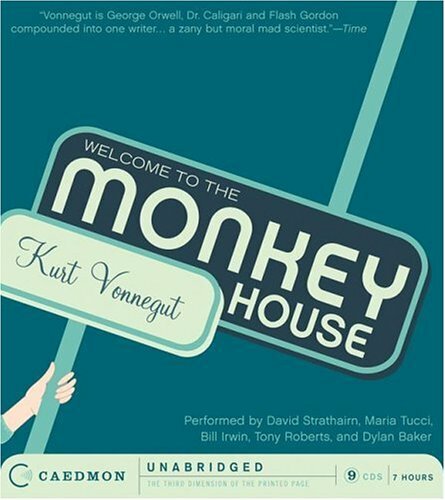 Tender stories of love, incisive esays on human greed and misery, and imaginative tales of futuristic happenings reveal Vonnegut's versatility and vision. 9780060898717 | Unabridged edition (Caedmon Audio Cassette, June 1, 2006), cover price $39.95 | About this edition: Tender stories of love, incisive esays on human greed and misery, and imaginative tales of futuristic happenings reveal Vonnegut's versatility and vision. As Sherman's army marches from Atlanta to the sea in 1864, the city of Savannah lies directly in its path, threatening the livelihood of widow Sara Lester and her twelve-year-old daughter Hattie, who struggle to save the family plantation. 9780743533386, titled "Savannah Or A Gift for Mr. Lincoln" | Abridged edition (Simon & Schuster, October 4, 2004), cover price $29.95 | About this edition: As Sherman's army marches from Atlanta to the sea in 1864, the city of Savannah lies directly in its path, threatening the livelihood of widow Sara Lester and her twelve-year-old daughter Hattie, who struggle to save the family plantation. 9780743533379 | Abridged edition (Simon & Schuster, October 1, 2004), cover price $26.00 | About this edition: As Sherman's army marches from Atlanta to the sea in 1864, the city of Savannah lies directly in its path, threatening the livelihood of widow Sara Lester and her twelve-year-old daughter Hattie, who struggle to save the family plantation. A third audio volume of unabridged stories from the anthology of nineteen short westerns originally published in The Saturday Evening Post and other magazines from the 1950s to the 1980s capture the heroism, brutality, and passion of the frontier. 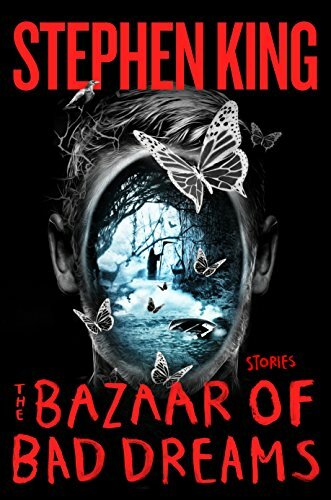 By the author of Get Shorty. Book available. 9780671043742 | Unabridged edition (Simon & Schuster Audioworks, May 1, 1999), cover price $9.95 | About this edition: In two stories, a tracker searches for a woman taken prisoner during an ambush, and a Cavalry veteran tries to prove he has been framed for murder.